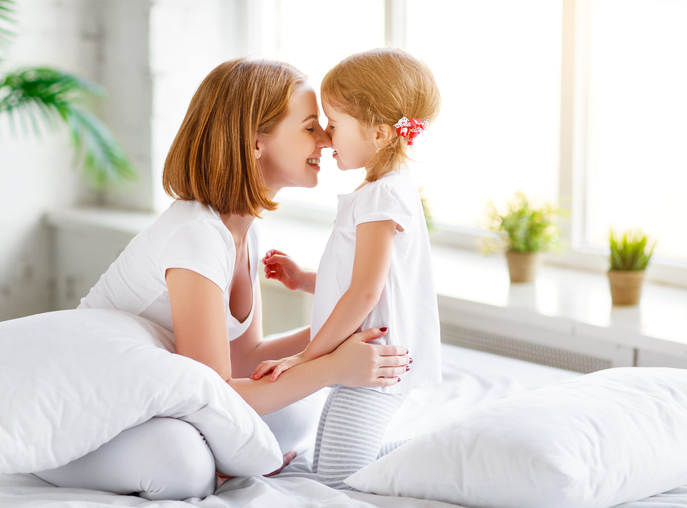 Welcome to the weekend mamas! 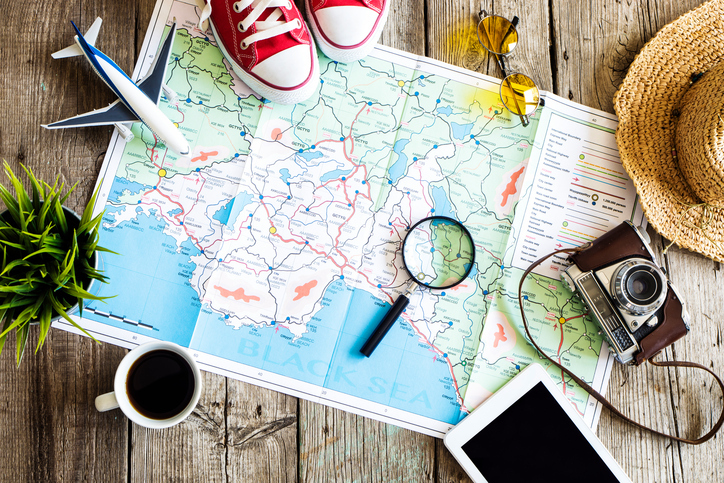 Be sure to visit us every Saturday to get new travel and money saving hacks that’ll help you stick to your budget and make your next family trip amazing. 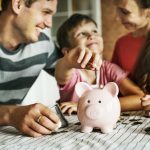 So whether it’s simple ways to cut your household spending, saving tips, travel planning, or packing advice…we’ve got you covered. 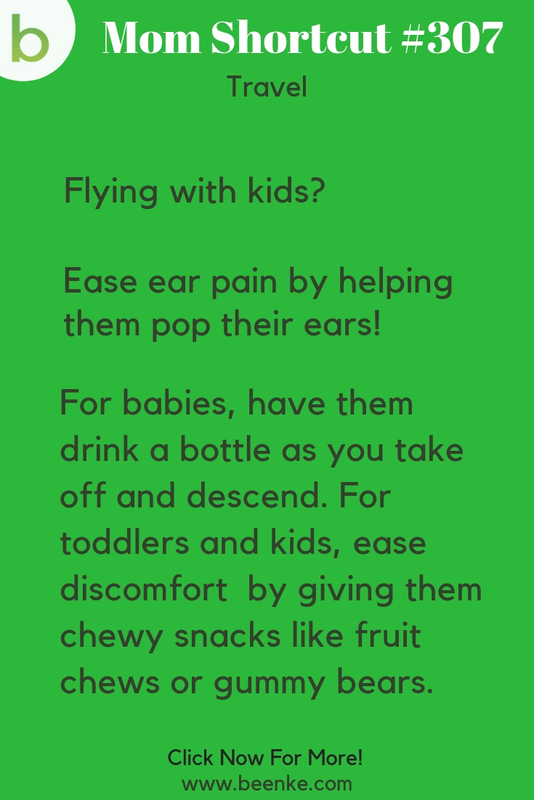 #307 – The trick for easing ear pain when flying with kids. 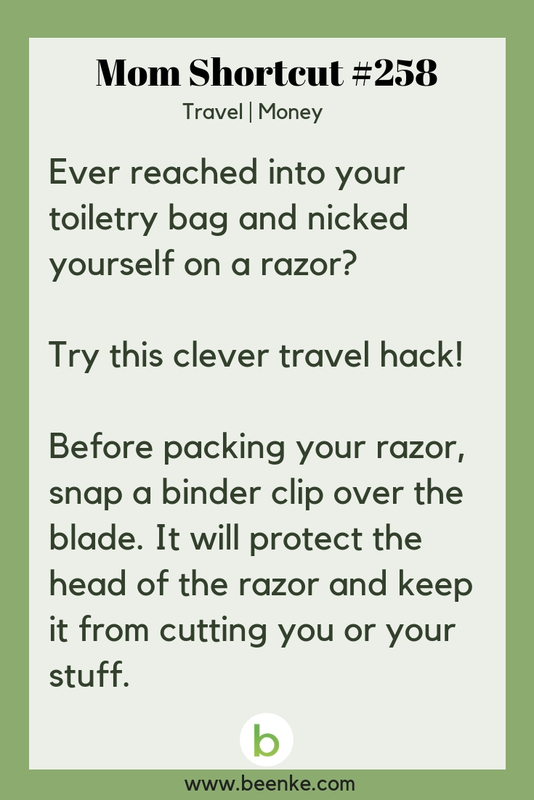 #258 – Try this travel hack and keep your razor from cutting you or your stuff. 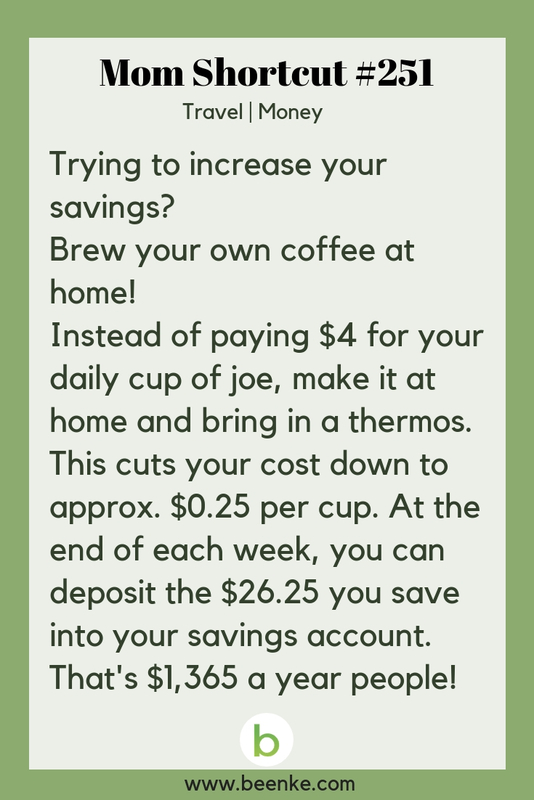 #251 – File this under easy ways to save money: you can save big by being your own barista! 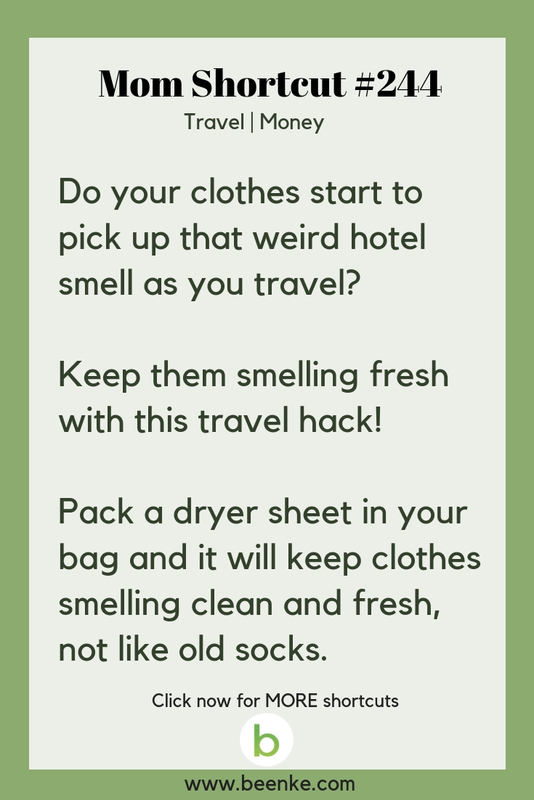 #244 – How to keep your clothes from getting that weird hotel smell when you travel! 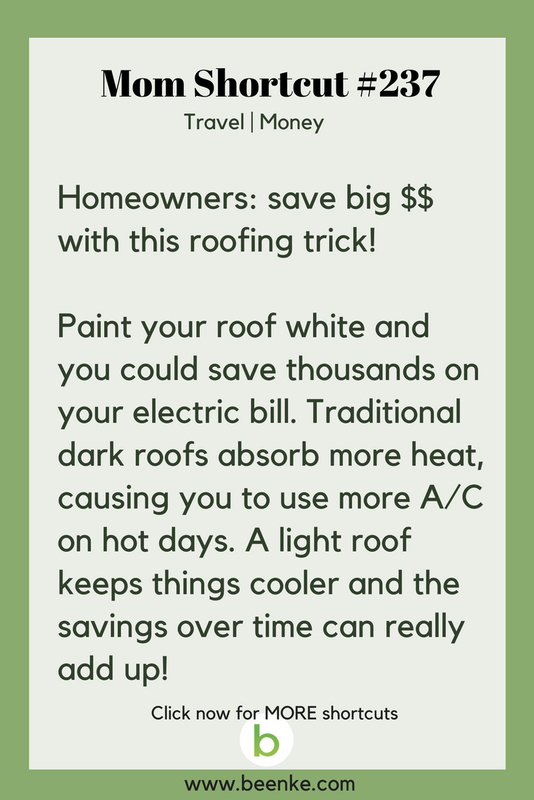 #237 – Money saving hacks for homeowners: you can save big $$ with this roofing hack! 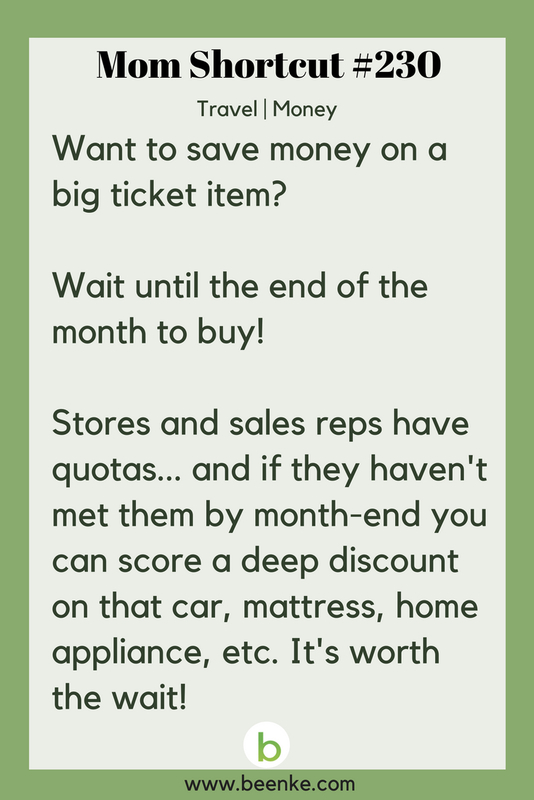 #230 – Save money on your next big ticket purchase with this hack! 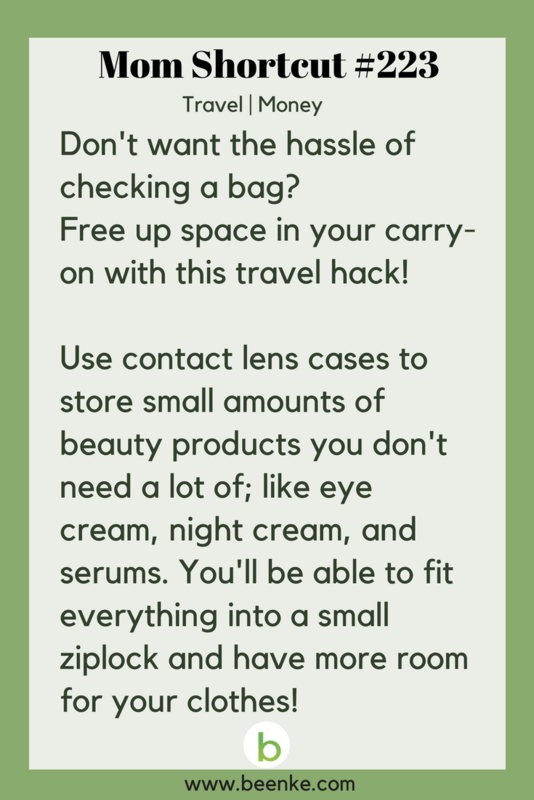 #223 – Free up space in your carry-on with this packing hack! 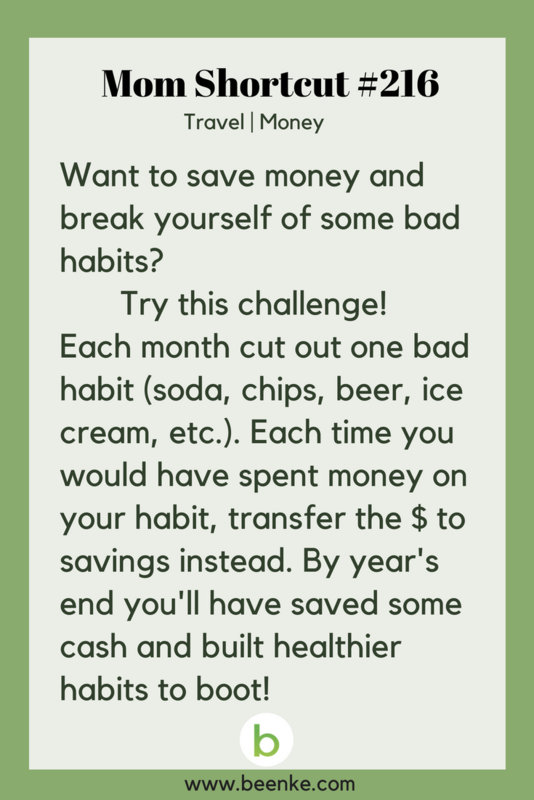 #216 – Money saving hacks that can help you break bad habits. #209 – Relieve sore muscles on your next flight with this travel hack! 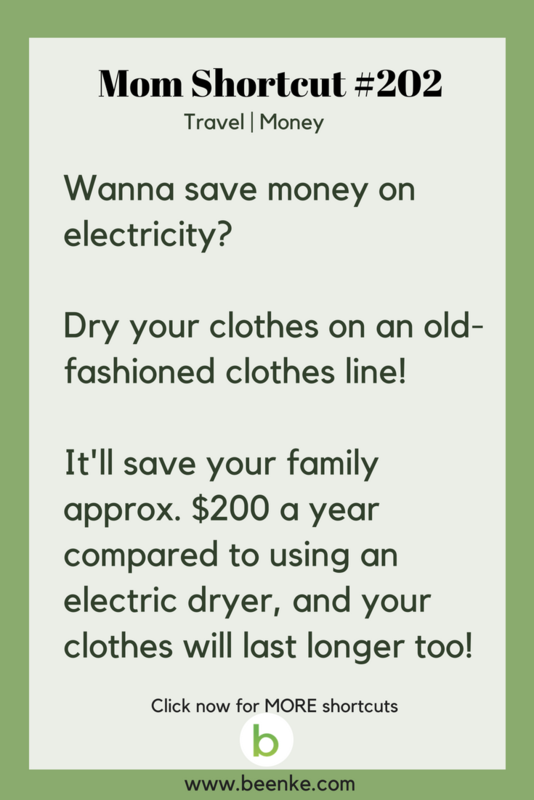 #202 – Dry clothes the old fashioned way to save your family money. 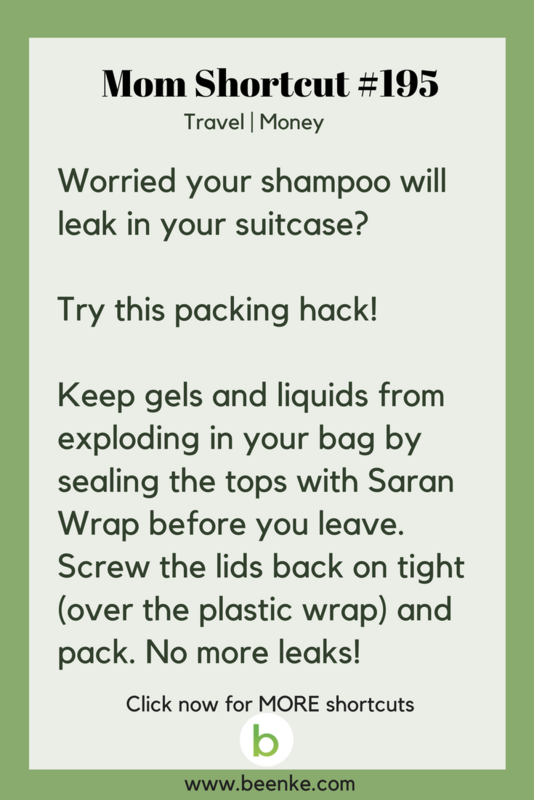 #195 – Keep liquids from leaking in your bag with this travel hack! 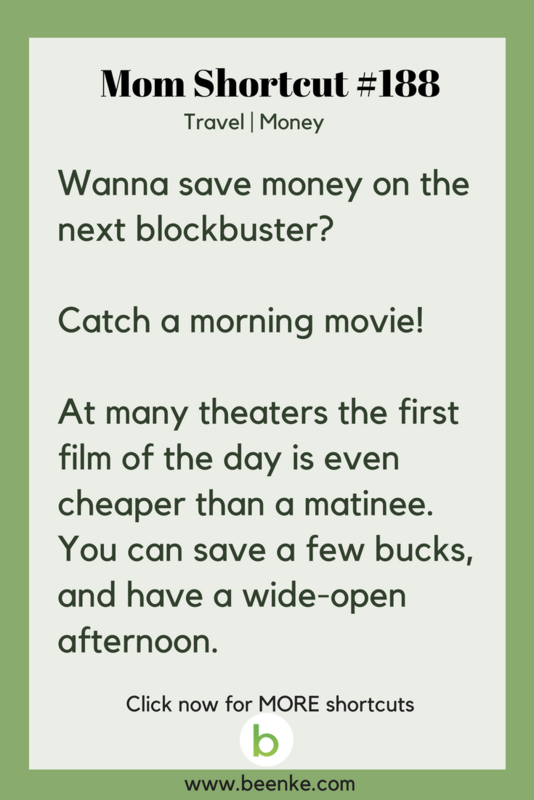 #188 – Save money at the movies with this little hack! 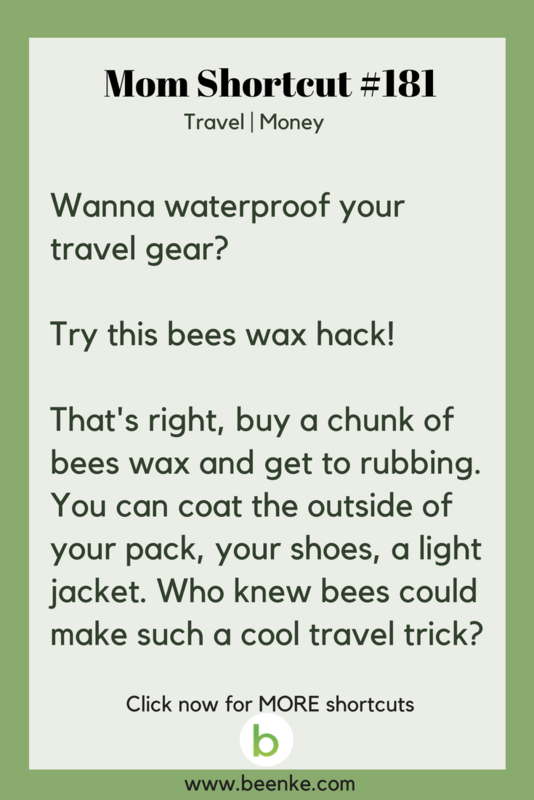 #181 – Waterproof your travel gear with this natural hack! 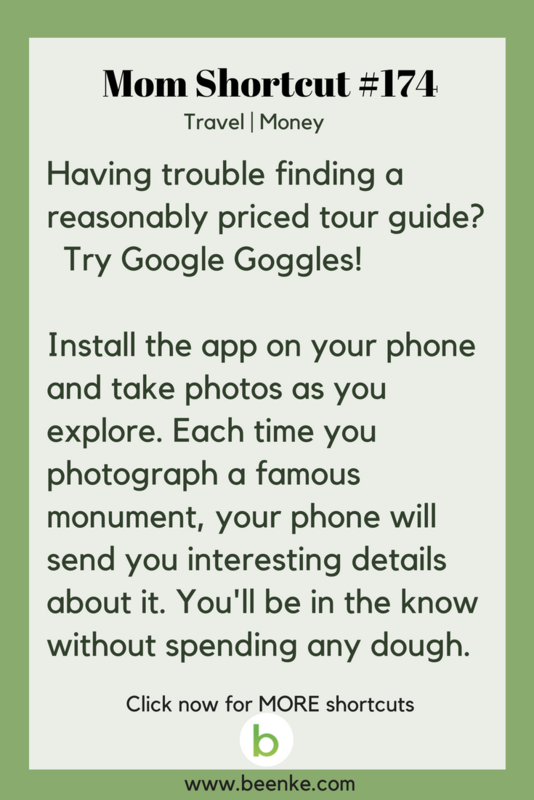 174 – Turn your smartphone into a free tour guide! 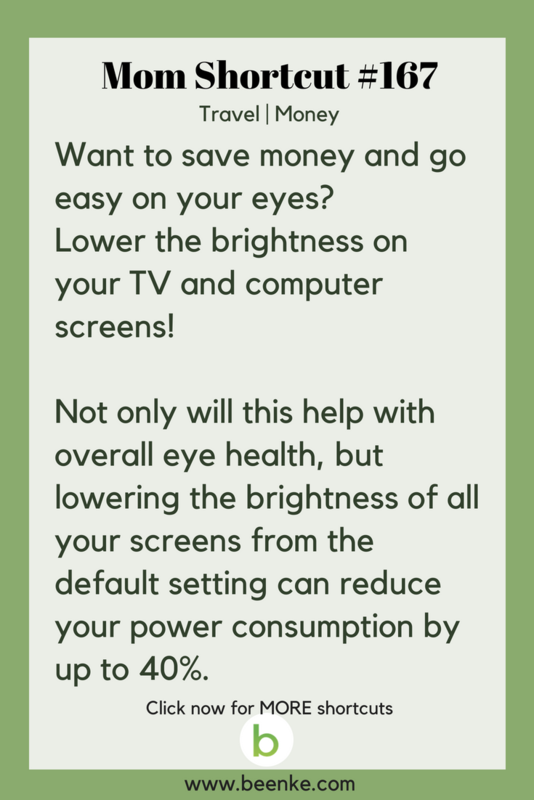 #167 – Save your eyes and some cash by lowering your screen brightness! 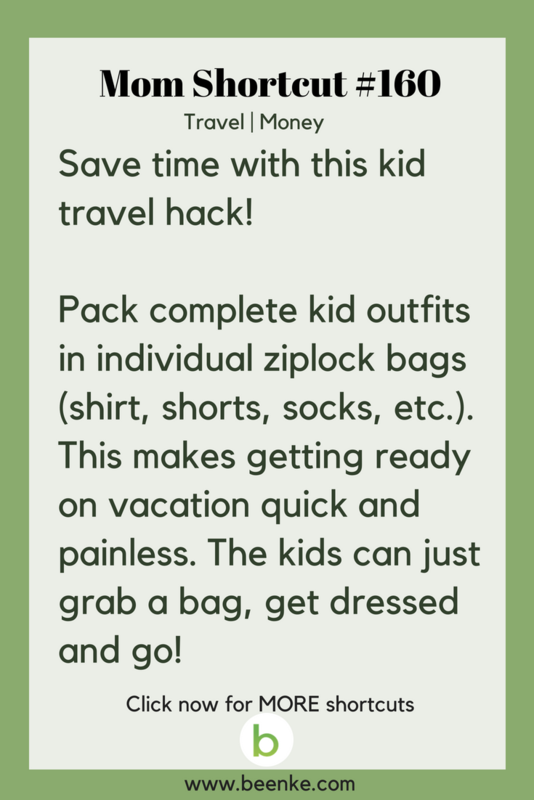 #160 – Save time with our kid travel packing hack! 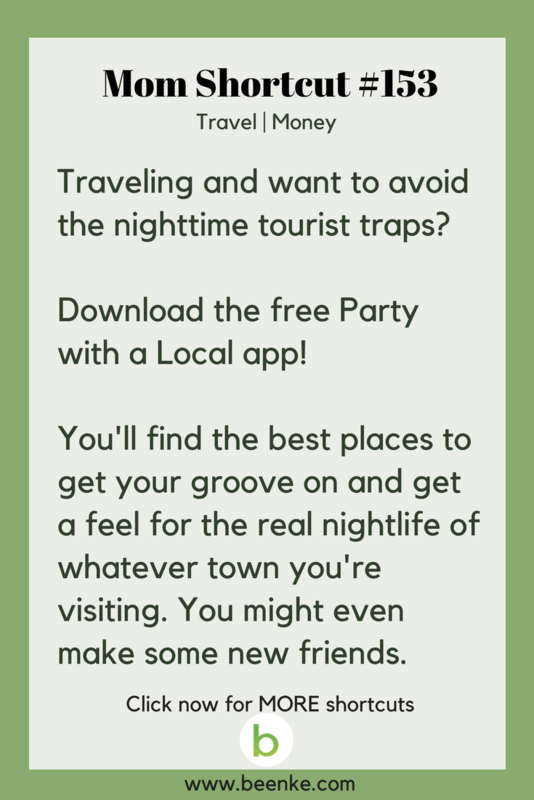 #153 – The travel secret for how to party like a local! #146 – Wondering how long you have until dark? 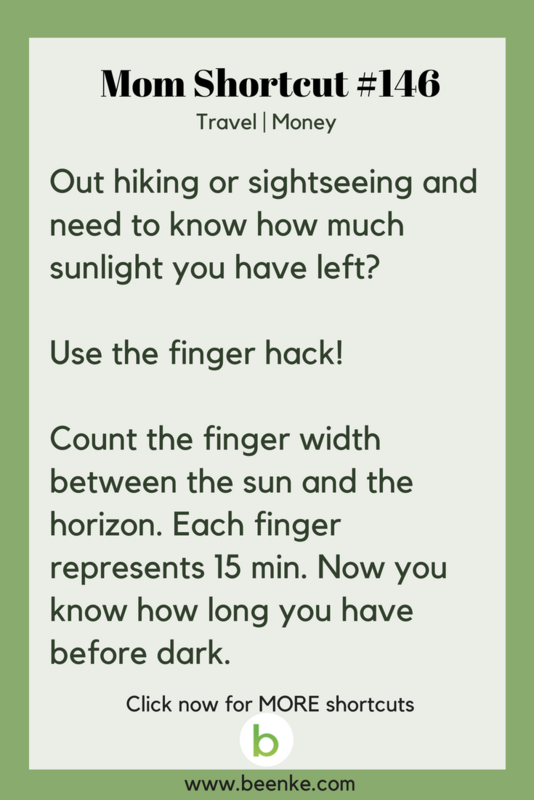 Try the finger hack! 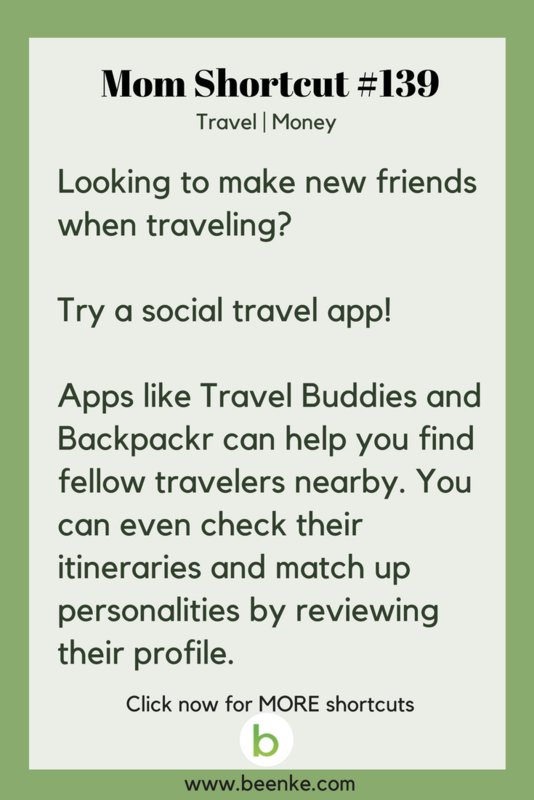 #139 – Find friends when traveling with this fun hack! 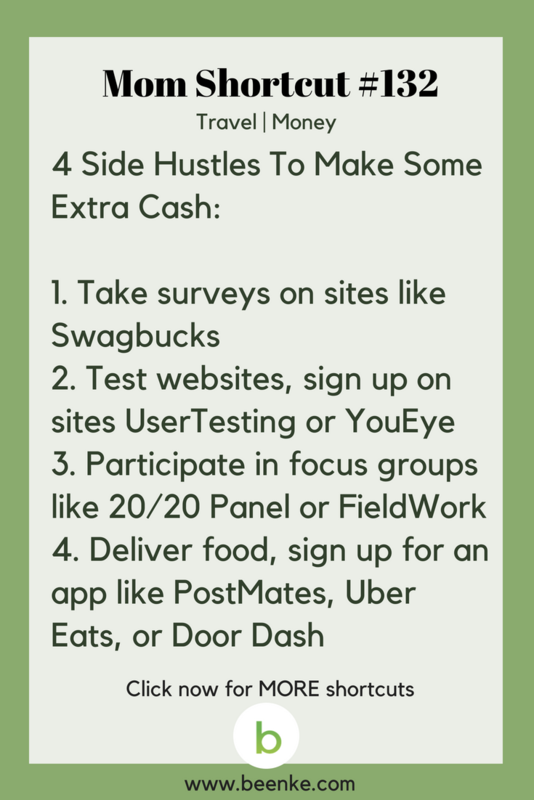 #132 – Money saving hacks: Some side hustles to help you earn extra cash. #125 – Be safe! 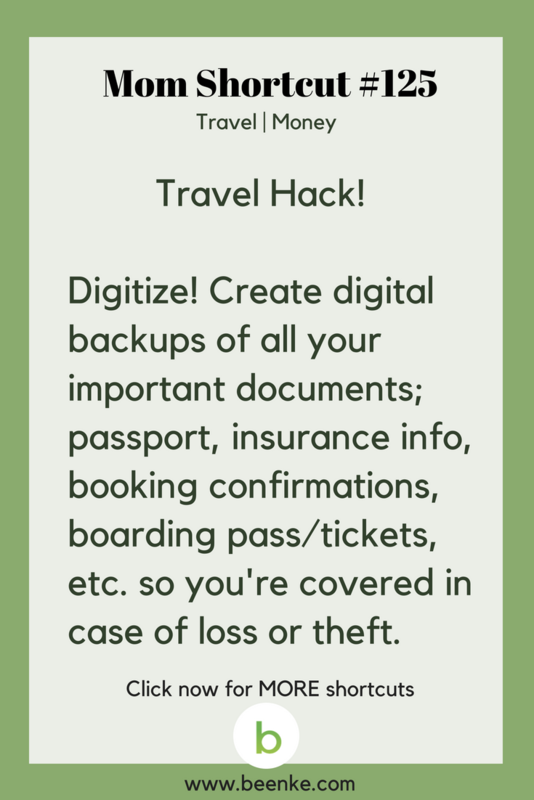 Digitize your documents before you travel. 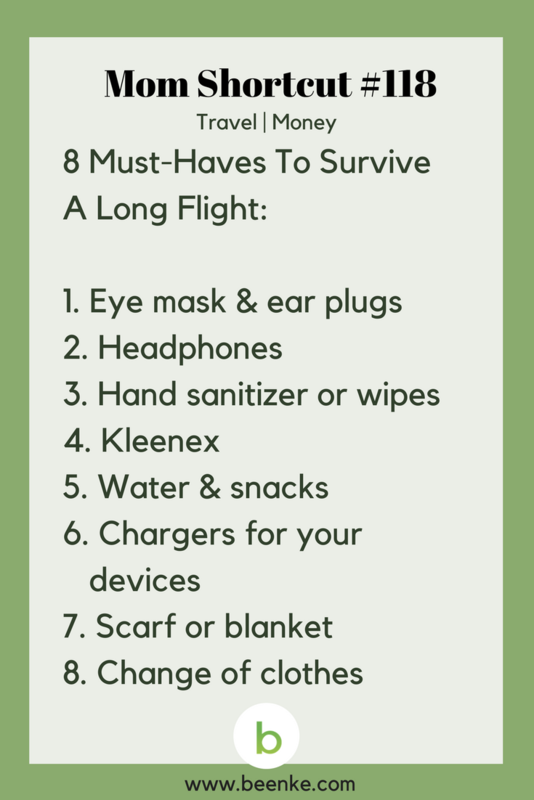 #118 – Your eight must-haves for a long flight! 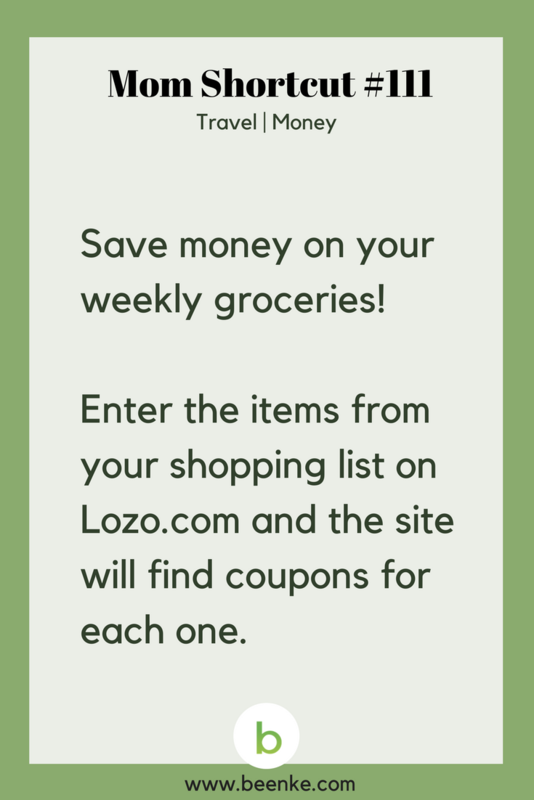 #111 – Save money on groceries with this cool coupon app! 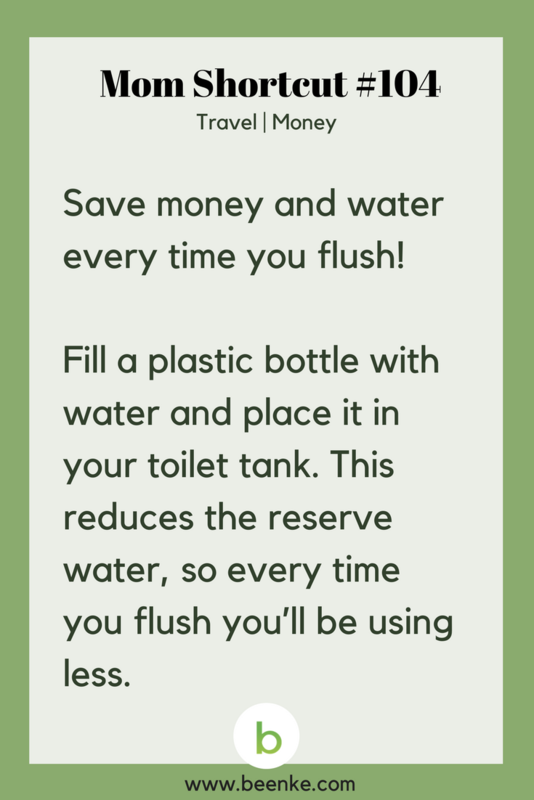 #104 – Don’t flush money down the toilet… save water with this clever hack. 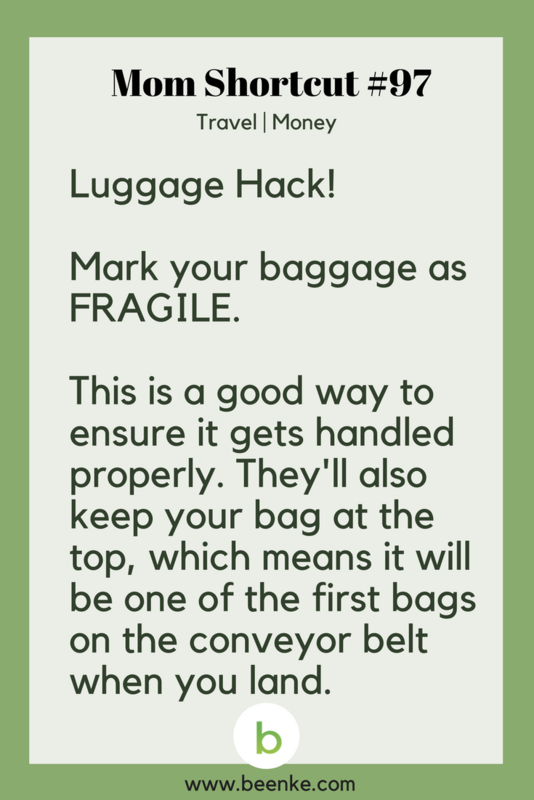 Shortcut #97 – Get your bag off the plane first with this luggage hack. 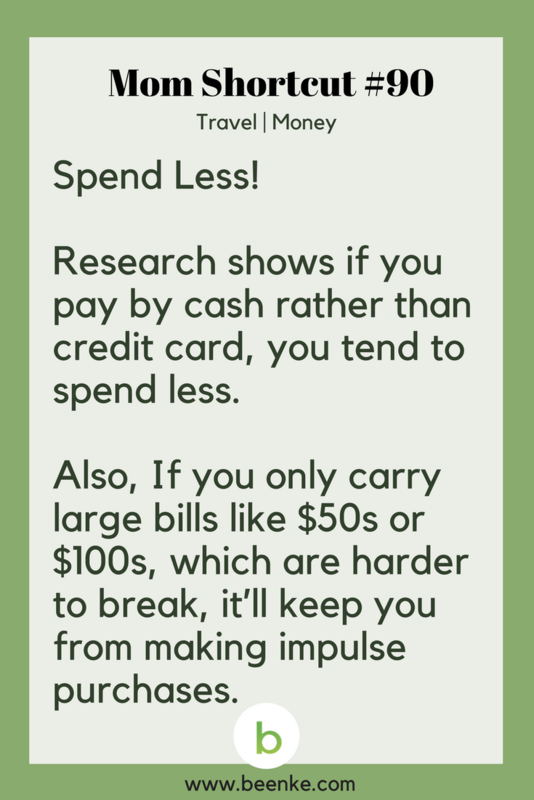 #90 – Money saving hacks you might not know… Buy in cash and spend less! 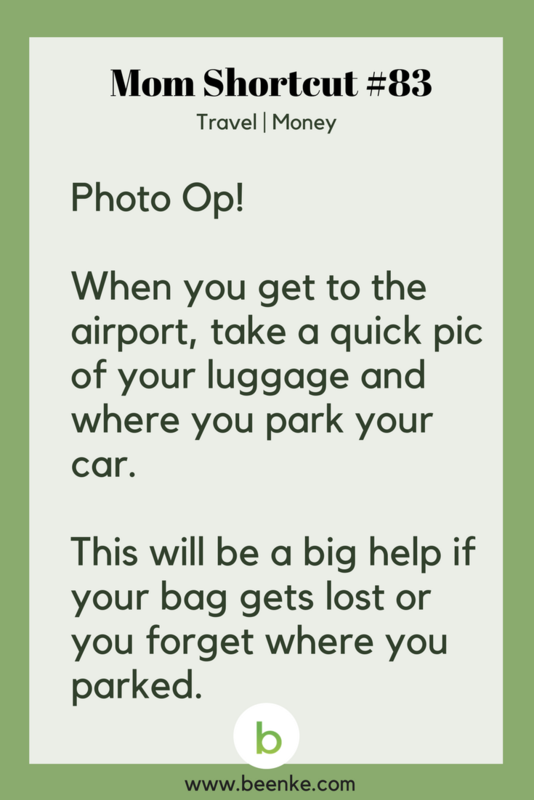 #83 – Snap a pic to help you remember! You’ll thank us later. 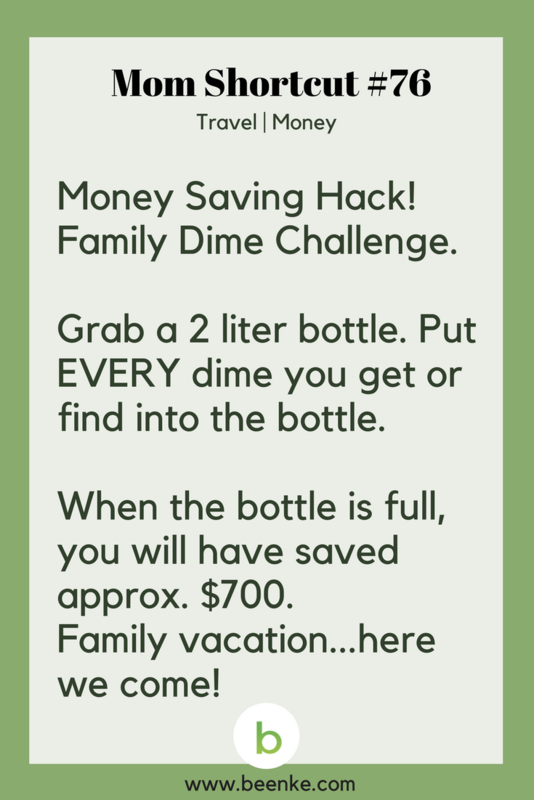 Mom Shortcut #76 – How to save money fast: Try the family dine challenge! 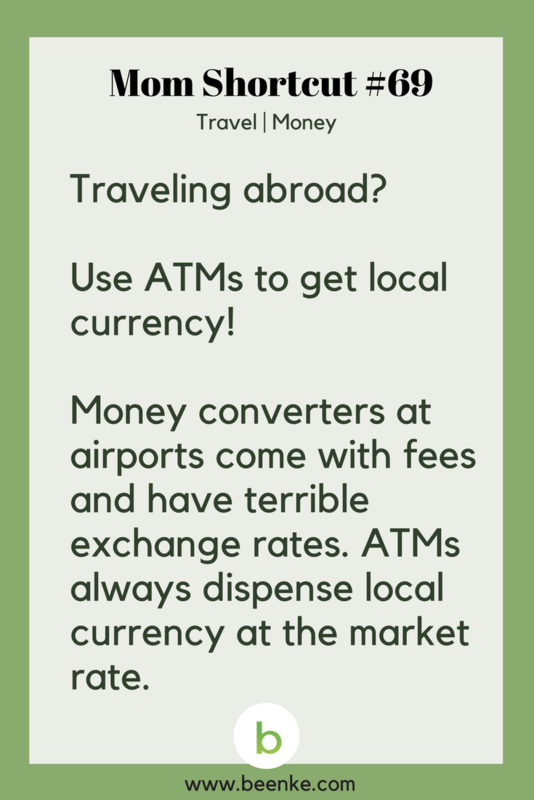 #69 – Save money when traveling…use local ATMs! 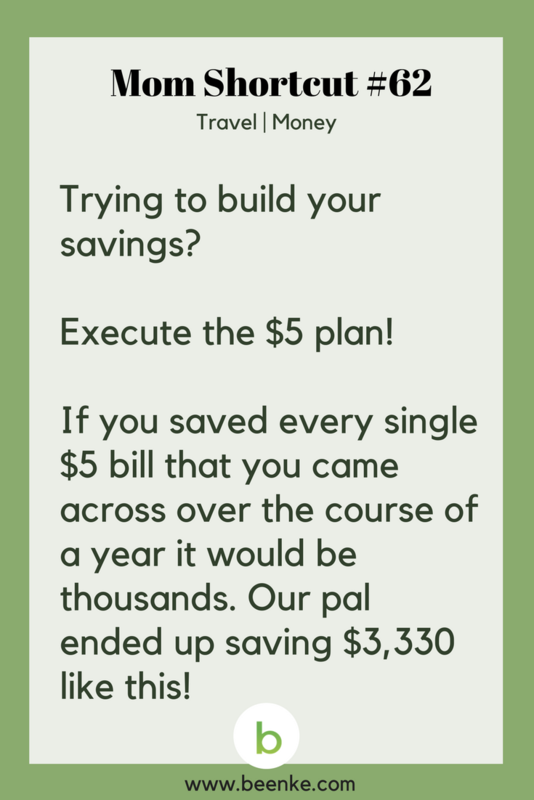 #62 – Easy ways to save money: The $5.00 Saving Hack! 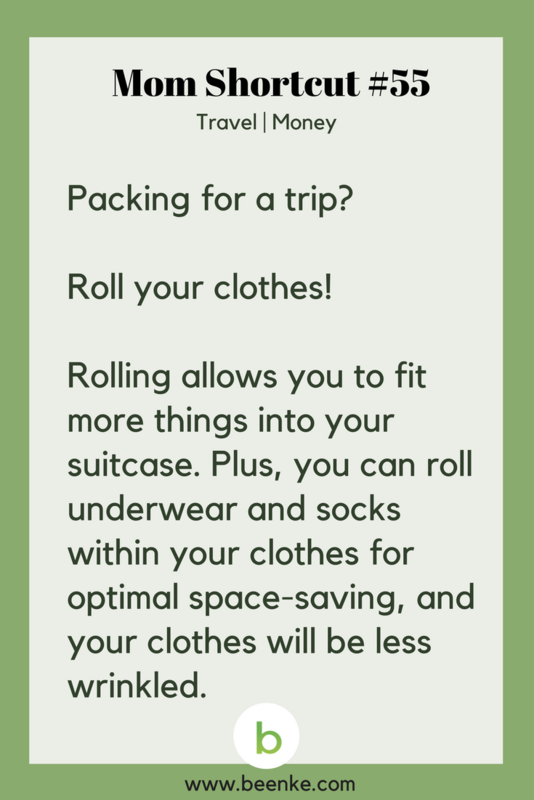 #55 – Packing hack: Save space with the rolling trick! 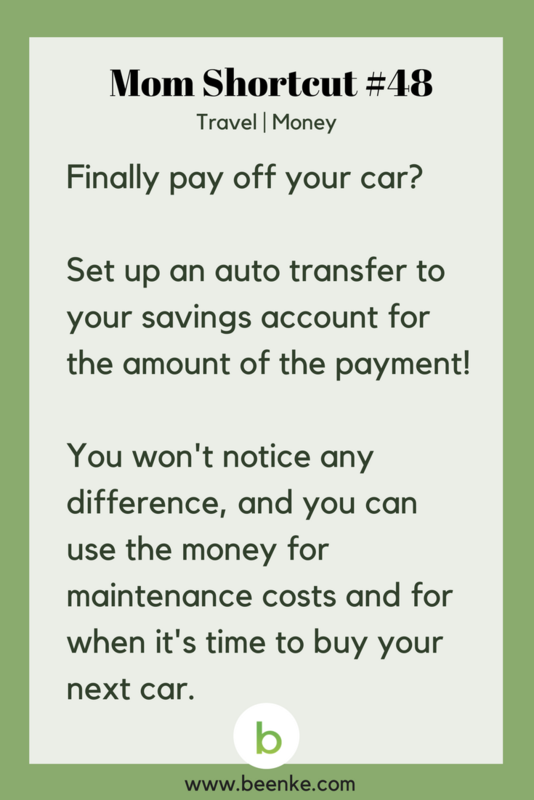 #48 – A money saving trick once you pay off your car! 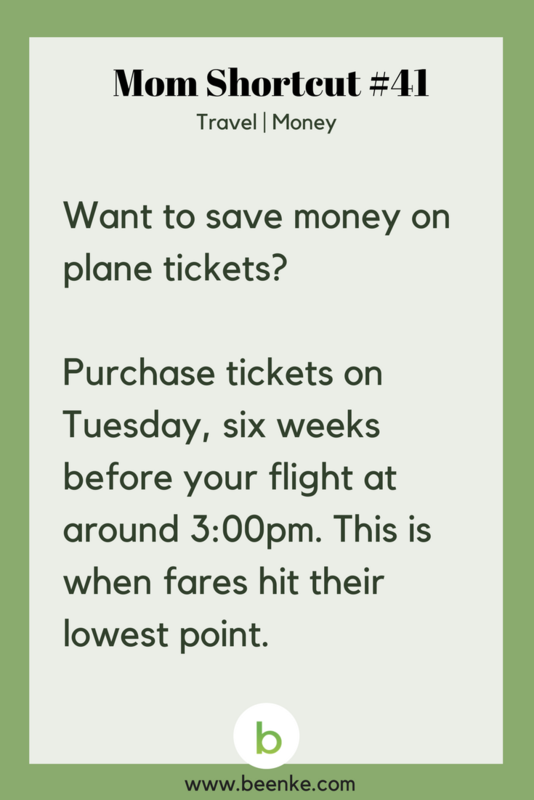 #41 – Looking to save money on plane tickets? 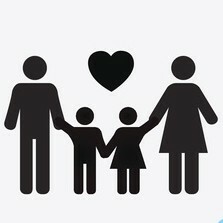 Try this trick! 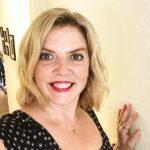 #34 – Are you packing for your next vacation? Keep shoes from making a mess. 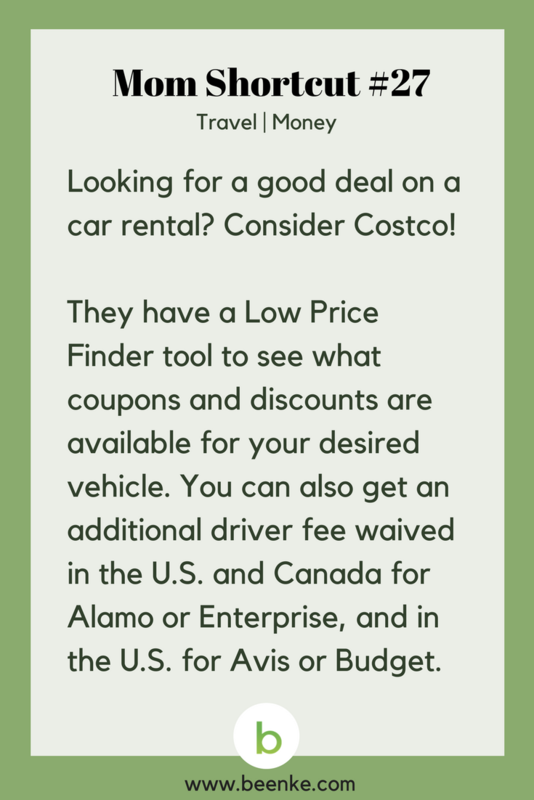 #27 – Need to rent a car for your next road trip? 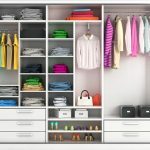 Here’s how to save some cash. 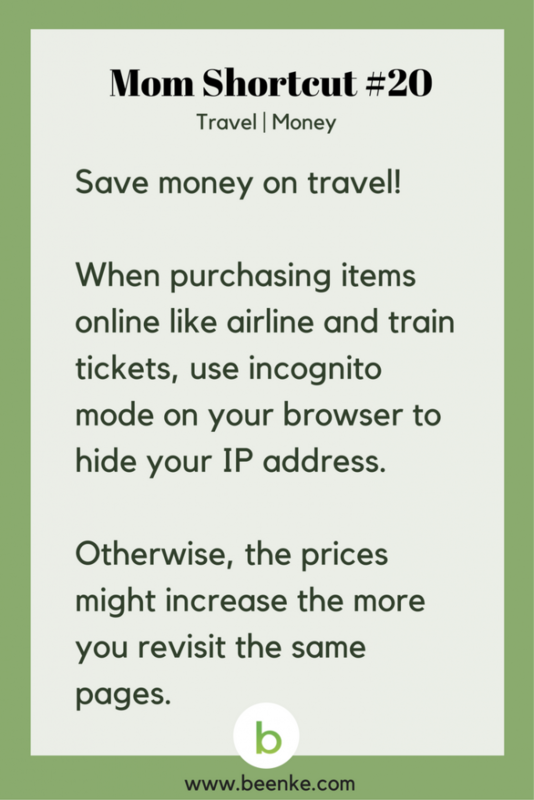 #20 – More money saving hacks: Go incognito to save on travel tickets. 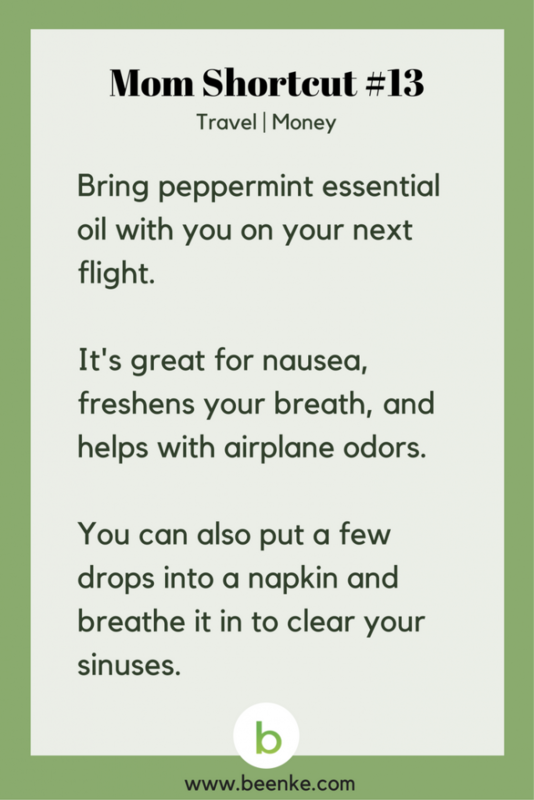 #13 – Try this multi-tasking oil on your next flight! Money Saving Hacks #6 – Don’t want to pay ridiculous airport prices for bottled water? 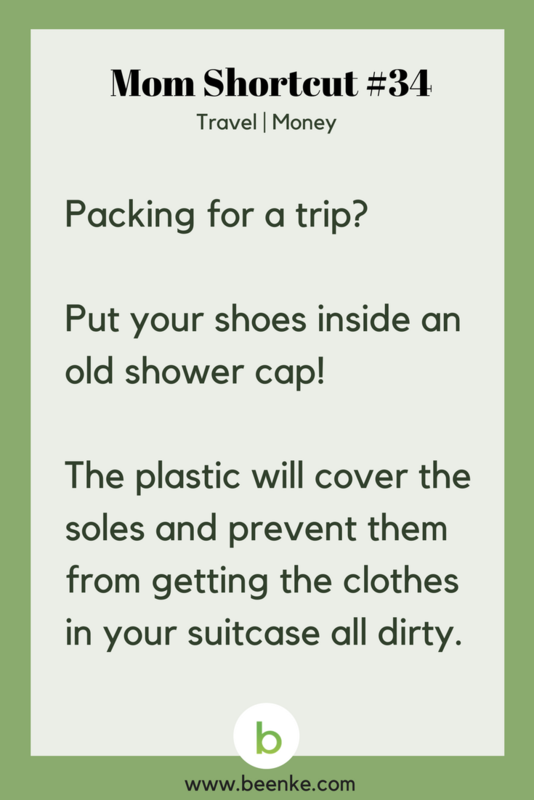 Pack an EMPTY water bottle! You can’t take liquids through security, but you can fill the bottle up from a drinking fountain once you’re on the other side and take it on your flight. 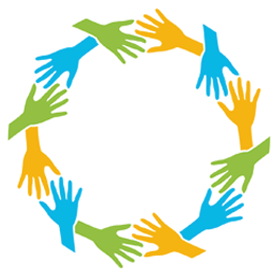 SHARE travel and money saving hacks with your friends on Facebook and Pinterest by clicking the buttons below.